SCAN has interviewed some of the clubs competing at Roses to get the latest on their rigorous preparation for the biggest sporting event of the year. Part Five features Tennis, Pool, Men's Football, Pole Fitness, and Women's Water Polo. SCAN has interviewed some of the clubs competing at Roses to get the latest on their rigorous preparation for the biggest sporting event of the year. Part Five features Tennis, Pool, Men’s Football, Pole Fitness, and Women’s Water Polo. 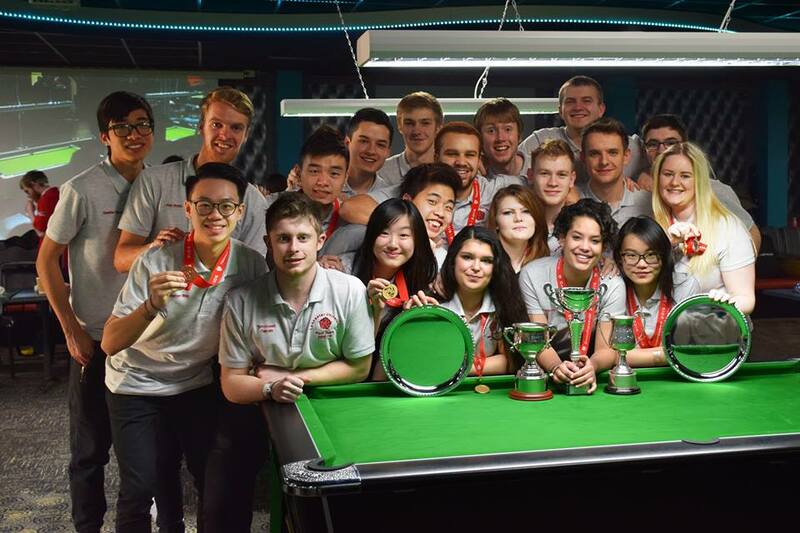 Last year’s result: Lancaster won the mixed doubles 4-2, the Men’s 1sts and Men’s 2nds both unfortunately lost 3-6, and the Women’s 1sts lost 2-7. They were pretty close to be honest. 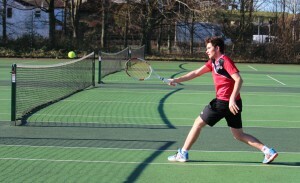 The mixed doubles was a massive win, because York have a really strong tennis team so getting that win was fantastic. They however managed to get the win overall by winning men’s 1st and 2nd and women’s 1st singles and doubles, but we gave them a good match that we could be proud of. Expectations for this year: I think this year we have a really good chance of beating them. The women’s team won the Northern Conference Cup Final and almost claimed the league, losing only by one point to Manchester Met. We have put in a lot of effort leading up to Roses; if it pays off it will be a brilliant result. Despite tough competition, the men’s teams have also been doing incredibly well; both the 1st and the 2nd teams have placed 2nd. The fact that York are in the corresponding league to our teams means that we have just as good a chance of winning as last year, if not definitely more. I think it would be fair to say that we will give York more of a run for their money this year! The team’s key strengths and competitors: The good thing about Lancaster Tennis Club is that there is not much difference between the top ranked and bottom ranked players. We are a club that both the men’s and women’s teams do well; we are lucky that we get on and have a laugh together. As a team, the atmosphere particularly at Roses never disappoints; every one of our team members supports and cheers for those playing matches. Even when someone is having a tricky match, there is always one of your team members there to pick your attitude up and spur you to carry on playing your best tennis possible. There is not one player that is wholly influential on the team as we are all as equally competitive and positive-minded. There are a few players in our club who have represented their country; the fact that we have players from around the world, not just Britain, gives us an advantage over York this year. We do however also have a Davis Cup player who is also our men’s 1st team captain, Abdul Al Janah. On our women’s team we have a Swiss international player, Daria Papenko, and Harriet Comley who has played at Wimbledon. Why should we go and watch you? If you like watching Wimbledon (and who doesn’t?! ), then our battle against York this year is unmissable. 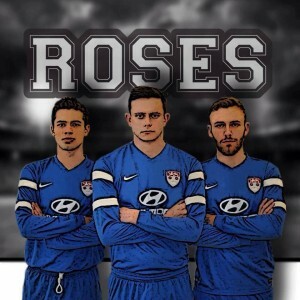 Our achievements as a team this year and our talented players are the reason why you do not want to miss us at Roses. 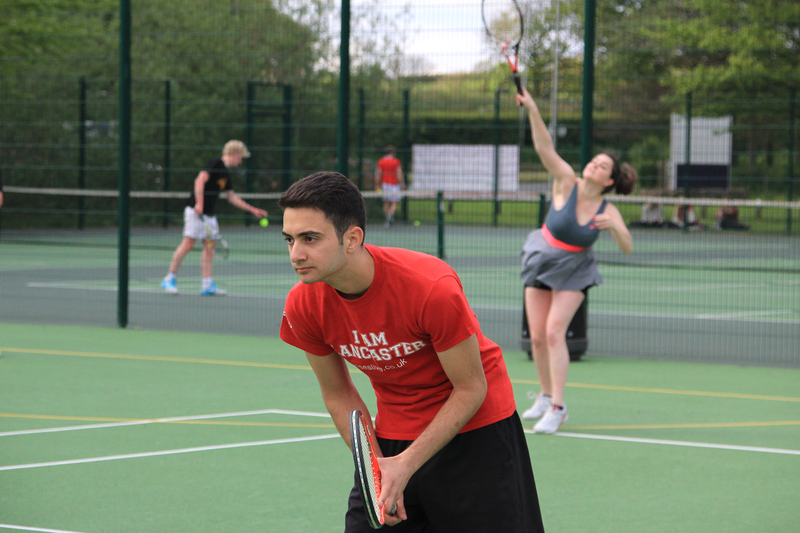 The fact that we have numerous tennis events means also that you can come down to the tennis courts anytime throughout Roses weekend; there will always be some fantastic tennis to watch! Last year’s result: The pool last year was a fiercely contested battle that went long into Saturday night, although the format is slightly changing this year to ensure that the matches will be done in time… For Sugarhouse. 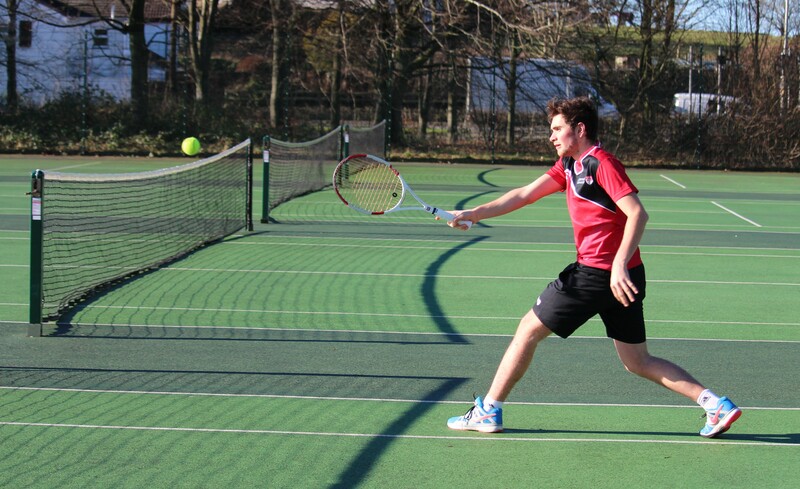 The men’s 1sts and college select both lost 5-4 in deciders last year, and we expect it to be close this time round as well, as York did very well at the BUCS tournament. The women’s team won their match 6-3 last year, and will almost certainly be looking for an even bigger margin win this year. 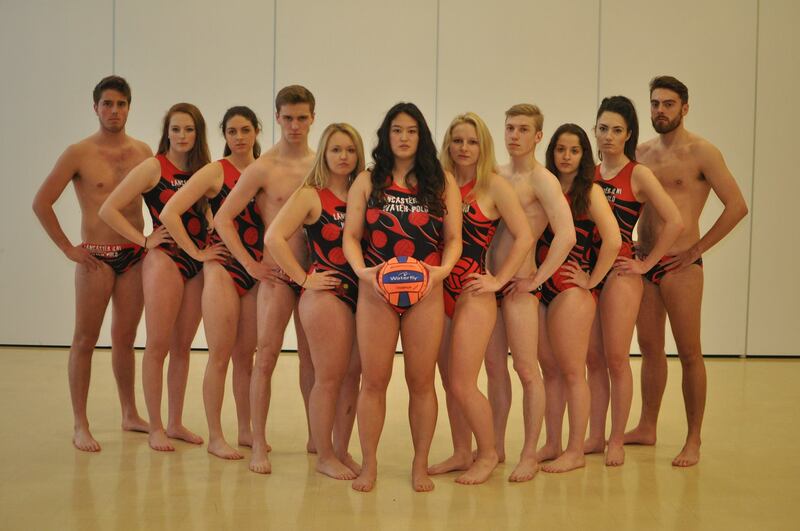 Lancaster’s women completely dominated BUCS this year, winning every prize they could. Both the 1sts and 2nds won their respective national team trophies, and the women’s national singles final was between two of our players. Expectations for this year: We absolutely have the capacity to beat them, and with a strong home support – which makes a MASSIVE difference in pool, pressure can really affect the game – we can smash them. The team’s key strengths and competitors: Our squads are well balanced but if I had to name key players I’d go with Alex Smith of the men’s, and April Zhou and Megan Proctor of the women’s. These will crush whoever they play. Why should we go and watch you? Come and watch the pool at Roses because it’s being held on the Friday evening in Lonsdale Bar – the perfect event to get a few drinks in before the big night out with Mistajam. And once you’re there, be sure to get behind Lancaster and be part of the atmosphere. It should be a huge event. Last year’s result: The 1st team drew 0-0 with York, the 2nds suffered an unfortunate loss of 0-2. Expectations for this year: As a complete squad we have had a solid pre-Roses training camp with no injuries or concerns. Both squads are looking very sharp with the 2nds hoping to continue their great end of season form and the 1sts looking to get revenge on York following an unlucky defeat in the BUCS Cup. We know exactly what to expect from York and we believe we have enough depth to pick up two wins. The team’s key strengths and competitors: Returning to training a week early is sure to give us the edge with regards to fitness and sharpness. Our hardworking philosophy combined with the desire to play slick football will be key to the final results in both fixtures. Four players that could make the difference are: 1st team captain Ben Finch, at the heart of the defence his performance will be vital to stop York; 1sts leading scorer Harry Heptonstall will need to be hitting top form to get Lancaster the victory; ex-Nantes player Anthony Gour will be a pivotal and solid figure whilst also posing a great threat moving the ball forward; Kyle McLellan ended the season on a high with nine goals in five games and will be certain to pose an attacking threat to York. Why should we go and watch you? The world’s most popular sport, these two fixtures are certain to be the most exciting of the entire weekend. The match is likely to be played with great desire and determination making for a great spectacle. Expect some exceptional football – played by the best talent within the university – with a fierce and ferocious effort from both sides. Last year’s result: We won in the beginner, intermediate and advanced categories. However, York won in the group category. We wiped the floor with them. Expectations for this year: We have had a lot more interest this year, particularly in competing, and a really great, ambitious team so regardless of whether or not we win we’ll provide a great show. The team’s key strengths and competitors: We have a great range of styles; girls who are amazingly bendy, others who are super strong, and some amazing dancers too. different as it can be interwoven with any style of dance and there’s a kind of art form in how people interpret the music and translate it to the pole. 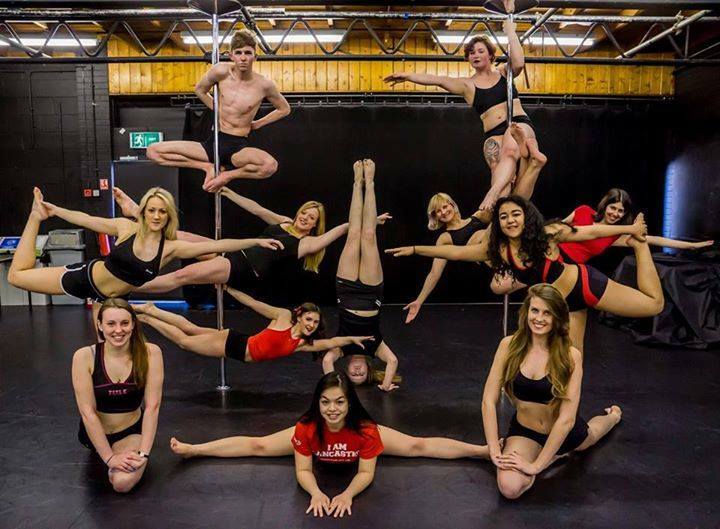 We are really committed to changing the image of pole and showing people what we can do. And it’s our first time point scoring this year. Last year’s result: Unfortunately, the team lost against York last year. Expectations for this year: Having been beaten on foreign soil this BUCS season, Lancaster are more than ready to fight for the win in home territory with the support of our fellow Lancastrians. The team’s key strengths and competitors: Anna Clark’s determination has made her one to watch all season, with fast pace and a cheeky left shot she’ll be catching York off guard. Lancaster’s feistiest fresher Lucy Clegg has incredible stamina, and she’ll be there to make key tackles in defence whilst always ready to make a break upfront and ping one in the back of the net. This fresher is one to keep your eye on. Why should we go and watch you? A game of goals, speed, strength and skill, water polo has everything you need to get you biting your nails and sitting on the edge of your seat. Massive rivalries between both teams makes this war in the pool one not to be missed. Next articleRoses: is gendering unavoidable?